When I’d finished looking back at the films I watched in 2015 and chose my ten favorites, I noticed something very interesting. For the first time since I started drawing up this list, fully half of my choices were directed by female filmmakers. This is really exciting. It’s further proof that as the modes and processes of making movies are changing, the range of filmmakers able to make films and actually get them in front of audiences is truly expanding. The multiplex movie menu is still solidly produced by and for straight males, of course, and it’s true that revenue-wise that’s where the billions are. But the good news continues to be that for those of us who want something else, there are plenty of flavorful movies out there and plenty of ways to see them. Thanks to crowdfunding and streaming technology, the choice of what to watch and how to watch it are vastly different than when I penned my first end-of-year list for Chicagoist. Disney might end 2015 feeling ecstatic about the performance of a certain valuable corporate property, but even the Mouse House is nervous about cord-cutting. I don’t think it’s a fluke that there are so many documentaries and reality-based movies on my list this year. I saw lots of “traditional” narrative films in 2015 that I enjoyed, but many of the ones that that are still percolating through my grey matter directly addressed the here and now (or the there and then). Perhaps I was reminded this year that there needs to be a balance in the Force. Like the saying goes, “It’s not paranoia if it’s true,” and I’m hard pressed to think of any other movie from the past 12 months that continues to haunt me like Citizenfour. Artfully chronicling Edward Snowden’s flight from the US and his subsequent revelations of secret government activities, Poitras’ documentary is simply hair-raising. The stakes are so high it makes most suspense thrillers look like shaggy dog jokes. It ought to be seen by every American. I hadn’t even heard of artist David Beck before seeing this documentary at the Denver Film Festival, but Stone does such an exemplary job of introducing and showcasing his fascinating miniatures that I felt completely at ease saying hi to him after the screening. Partially inspired by Joseph Cornell, as well as his own childhood, Beck has spent a lifetime creating intricate worlds that are part dioramas and part mechanized doll houses. Stone’s father was one of Beck’s earliest art world champions; but rather than insert herself into the story, she gets out of the way and allows Beck’s work to take center stage. Here’s hoping her movie makes it to Chicago in 2016. Anderson meditates on the life of her beloved dog Lolabelle, using her pet’s demise as a springboard to explore the nature of memory and storytelling. Sad, funny, wise and playful, Heart of a Dog is a sort of ever-shifting audiovisual collage that balances cosmic observations with Anderson’s dry humor. Even a cat person such as myself was completely disarmed when she explains how she taught Lolabelle to play keyboards. Thankfully, if you missed it at the Music Box, the Siskel is hosting an encore presentation in a few weeks. Don’t ask me to explain it, but this was the year I became obsessed with Ray Milland. No one grimaces like Ray Milland. 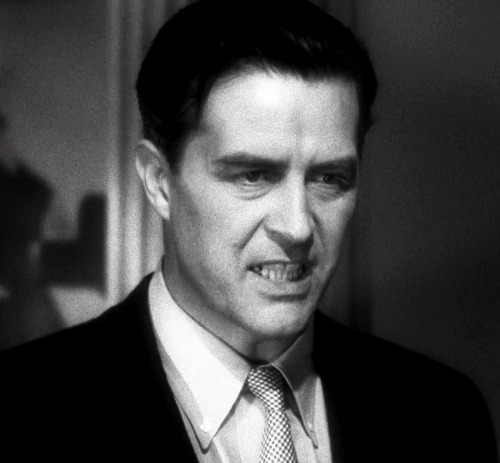 Ray Milland invented the grimace. When he reacts to something going badly, or some fool saying something idiotic, he looks as if a brand new ulcer had suddenly sprouted in his stomach. And, as Leonard Maltin points out, he’s never been nastier than in The River’s Edge, playing a double-crossing thief who strong-arms Anthony Quinn and Debra Paget into guiding him safely through the New Mexican desert and across the border. It’s colorful, tightly paced, and packed with action, capped by an ironic ending that sticks in your craw. The Dardenne brothers offer up yet another incisive examination of class and economics, about a factory worker who must convince her colleagues to forgo their annual bonus so that she isn’t laid off. The ultimatum comes from the factory boss, who won’t see his bottom line compromised. Devoid of glamour, Marion Cotillard’s Sandra is a working mother with a shaky sense of self-confidence who is forced to learn in short order how to stick up for herself. As grim as it sounds, it’s the touches of warmth and humor that make the story so heartrending. Can a re-edit be considered a new movie? I first watched Wenders’ globetrotting sci fi epic as a high school kid, and while I loved it, even then I knew it was a barely contained mess (that also happened to have the best soundtrack album of the late 20th century). Later I saw a bootleg video of the European version. Essentially, a longer mess. But the director’s cut which screened at the Siskel last month is a revelation. The first half of the movie finally works, with the expanded voiceover of Sam Neill’s writer character serving a genuine storytelling function rather than just coming off as a clumsy device. And the convoluted journey undertaken by Claire (Solveig Dommartin) and Trevor (William Hurt) not only makes sense, but allows the viewer to feel fully immersed in each new location (Moscow, Japan, and San Francisco, among many others). True, the second half is still too drawn out. But as a consolation you get a lot more of Max von Sydow and Jeanne Moreau. And the movie’s concept of a computer than can allow someone to record and rewatch their own dreams is even more bewitching than it was in 1991—surely Charlie Booker of Black Mirror would agree. Also, though I consider myself a celluloid purist, the 4K restoration was the most gorgeous cinematic experience I had this year. There literally isn’t a single shot in the movie that doesn’t look beautiful. Robby Muller FTW. TV-obsessed Alice Klieg wins the lottery, goes off her meds, and purchases airtime for her own talk show. What follows hits the bittersweet spot between hilarity and comedy that’s so uncomfortable it hurts to laugh. An ideal cast headed by a peerless Kristin Wiig brings to life this acrid fable about what happens when you get exactly what you want. 2016 will see the release of the Nina Simone biopic starring Zoe Saldana, but Liz Garbus has already given us a definitive treatment of the High Priestess of Soul. It premiered on Netflix before having a brief theatrical run. Audio interviews with Simone herself speaking candidly about her life and music are interwoven by Garbus with new interviews featuring Simone’s daughter. It’s an excellent point/counterpoint strategy that allows us to appreciate Nina’s genius without shying away from the plain fact that she was sometimes her own worse enemy. And naturally there’s an abundance of great music on the soundtrack, which will surely inspire you to fortify your Simone collection. Ceylan’s languorous style perfectly suits a story where characters find themselves more or less stranded in the middle of nowhere, specifically a remote outpost in central Anatolia where an aging hotelkeeper and landlord struggles to keep his life from falling apart. Joel Wickland at Chicagoist was more measured in his assessment, advising potential viewers to “lower their expectations and prepare for something engrossing and worthwhile, but not extraordinary.” But I thought the conversations among the characters, and their interrelationships, were uncommonly believable, with the often bleak but beautiful landscape forming a hypnotic backdrop. This entry was posted in Uncategorized and tagged 2015, documentaries, movies, ray milland. Bookmark the permalink.